Most homes have their furnaces located indoors, either in the basement or an enclosed cabinet. Placing a gas furnace outdoors is an option for homeowners with limited space or the need for a large furnace that would be difficult to install inside. Outdoor gas furnaces burn natural gas and can keep an entire home warm throughout the winter months for a minimal cost. 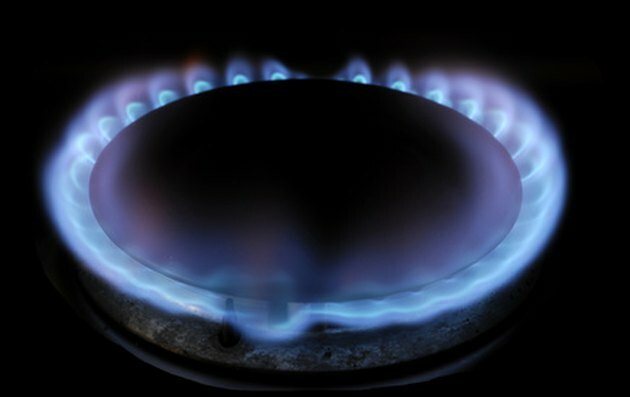 Outdoor gas furnaces use the same supply of natural gas as a gas stove or water heater. Installing a gas furnace outdoors frees up space inside the home. This may mean room for an additional closet in the living room, or more storage space in the basement. Placing the furnace in an outdoor building, like a shed or barn, may be a much easier fit that trying to install a large furnace in an older home with narrow doorways and limited storage space. Placing a gas furnace outdoors represents an important safety advantage. Cracks or leaks in the furnace's exhaust system can cause a carbon monoxide leak, which can be deadly to residents of a home with a faulty furnace. Placing the furnace outdoors removes this risk by allowing the dangerous fumes to vent into the air before becoming a problem. By having a gas furnace outdoors instead of inside the home, it becomes less accessible. This makes servicing the furnace an inconvenience, as homeowners may need to put on winter clothes to go outdoors whenever the furnace needs its pilot light relit or its settings changed. A gas furnace that spends its life outdoors may not hold up as well as one that stays within the confines of a protected, heated home. Outdoor furnaces are subject to more extreme temperature changes. During the summer, an outdoor furnace may become a nesting site for rodents and insects, requiring extensive cleaning before lighting the furnace for the winter. Gas furnaces rely on natural gas, which is relatively competitive in terms of cost and efficiency as a fuel supply. However, this varies based on the region. In some places, wood is easily accessible and may be a less expensive heating source, either in an indoor wood stove or an outdoor fire box-style furnace. For homes without access to a natural gas utility, the process of installing a gas tank may not be worth the advantages of an outdoor gas furnace and another option, like oil heat or a wood stove, may be better.